This webinar will take a look at new insights into multi-cloud economics. 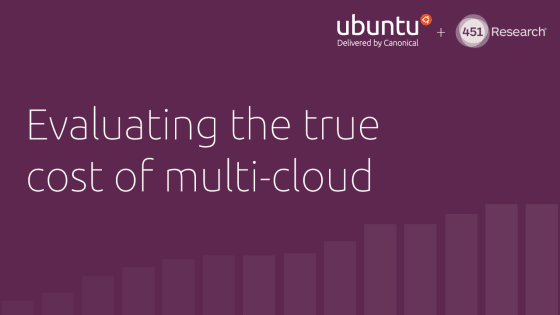 Recently, analyst firm 451 Research highlighted savings gained from using Canonical’s managed private cloud as part of a diverse multi-cloud strategy. At this webinar, we’ll be diving into the numbers in this recently released report as well as looking at common industry pain points in cloud adoption. In addition, there will be a chance for Q&A with 451 Research and Canonical.